The company of Deep Blue was established by a number of qualified CPAs (Certified Public Accountants) from various jurisdictions including Hong Kong, Australia etc. Since 2006, we have extended our business in China and set up our liaison office in Shenzhen and Shanghai. We have also cooperated with multinational banks such as HSBC, for our clients to set up bank accounts for many years and continuously obtain HSBC’s “Business Advisor Award” in one of our group company. 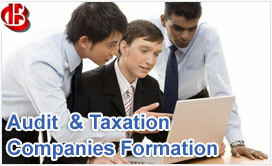 Our services include registration of HK company, formation of overseas company, establishing offshore company, registration of representative office (RO) in China, registration of WOFE in China, assisting bank account opening, HK and China taxation and tax planning, accounting and HK auditing services, trade mark registration, etc.